I. By its decision posted on 11 December 2014 the opposition division rejected the opposition against the European patent No. 2 247 764. II. The appellant (opponent) lodged an appeal against this decision in the prescribed form and within the prescribed time limits. III. Oral proceedings before the Board of appeal were held on 7 February 2018. The appellant requested that the decision under appeal be set aside and that the patent be revoked. The respondent (patent proprietor) requested that the appeal be dismissed and that the opposition be rejected. 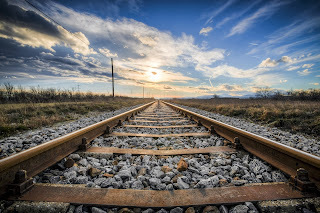 "A high-strength pearlitic steel rail with an excellent combination of wear properties and rolling contact fatigue resistance wherein the steel consists of 0.88% to 0.95% carbon, 0.75% to 0.95% silicon, 0.80% to 0.95% manganese, 0.05% to 0.14% vanadium, up to 0.008% nitrogen, up to 0.030% phosphorus, 0.008 to 0.030% sulphur, at most 2.5 ppm hydrogen, at most 0.10% chromium, at most 0.010% aluminium, at most 20 ppm oxygen, the remainder being iron and unavoidable impurities." D12: Print out from the internet http://standards.globalspec.com regarding standard NR-RT/CE/S/061. D8 and D9 were re-submitted at the earliest possible stage of the appeal proceedings and were relevant to the claimed product. D10 and D11 were two standard specifications of very similar technical content filed to prove the common general knowledge of the person skilled in the art. As shown in D12, D11 was prior art (like D10). Hence, D8 to D11 were to be admitted into the proceedings. The claimed composition overlapped with the generic composition of the pearlitic rail disclosed by D1. The ranges for the alloying elements of present claim 1 were not narrow in comparison with the corresponding ranges disclosed in D1. Moreover, the teaching of D1 was not limited to the examples. The person skilled in the art would experiment within the ranges disclosed in D1. Finally, the limit values were also part of the disclosure of D1. For instance the upper limit of the preferred range for C fell within the presently claimed range. Indeed novelty could only be acknowledged if the claimed range was sufficiently far removed from the end-points of the known ranges. This was not satisfied in the present case. Therefore, D1 was novelty-destroying. D5 also disclosed a composition with contents of C, Si, Mn and V overlapping with those of present claim 1. It was true that the content of S was not explicitly disclosed. However, S was an impurity. As shown by table 5 a) of the standard D10, where it was clear that the column headed "running surface" actually referred to the S contents, it was common general knowledge of the person skilled in the art that S was typically present in amounts which overlapped with the claimed range. Since also in this case the criteria for a selection invention were not met, in particular in view of example F, D5 was novelty-destroying. D9 likewise disclosed a composition overlapping with the claimed one. It was true that the stipulated amount of V appeared to be limited to a maximum of 0.020%. However, considering the experimental incertitude this value could not to be distinguished from contents in the claimed range (0.05% to 0.14%). Also in this case some experiments within the disclosure would have led the person skilled in the art to the presently claimed composition. Thus, D9 was detrimental to the novelty of claim 1. Furthermore, D8 disclosed a composition overlapping with the claimed one. Also in this case the whole teaching of D8 and some experimentation would lead to the subject-matter of claim 1. Thus, D8 also took away the novelty of claim 1. In any event, the subject-matter of claim 1 was at least not inventive starting from either D9 or D5. The problem solved by the claimed invention starting from D9 was to provide high-strength rails resistant to rolling contact fatigue and wear. The common general knowledge, which could be proven by referring to the prior art if necessary, was that V formed vanadium carbonitrides that improved hardness and strength. Thus, it was obvious to increase its content beyond the limit stipulated in D9 to solve the problem above. The person skilled in the art would perform this increase gradually, thus arriving at the subject-matter of claim 1. Therefore, the claimed rail was rendered obvious by D9 in the light of the common general knowledge. Starting from D9, the claimed rail was also obvious in view of D8 or D7, which both taught V additions that comprised values in accordance with claim 1. Additionally, the subject-matter of claim 1 did not involve an inventive step starting from example F of D5. The C content of this example was only slightly different from the claimed one. The addition of S to provide good mechanical properties, which was not explicitly disclosed in D5, was rendered obvious by D7, which described its positive effects. D8 and D9 had not been admitted into the proceedings by the opposition division and were not relevant. D10 and D11 were not relevant either, because they related to different steels than the claimed one. Moreover, there was no convincing proof that D11 was prior art, because there were some discrepancies between this document and D12, which was meant to prove its date of publication. Therefore, the late-filed documents D8 - D11 (and D12) should not be admitted into the proceedings. The composition of D1 overlapped with the claimed one but there was no disclosure that would lead the person skilled in the art to work in the claimed range. Since the ranges for the different alloying elements were to be considered in combination, the selected composition was narrow in respect to the composition disclosed in D1. Moreover, none of the several inventive examples of D1 exhibited a composition in accordance with present claim 1, in particular in respect of the V content. The person skilled in the art would also not work within the claimed S range. Irrespective of the fact that according to the recent jurisprudence the presence of a "purposeful selection" was not relevant to novelty, the claimed selection was also purposeful because it provided beneficial properties, as shown in the patent. The limit values of the known ranges were not relevant. In particular it was not admissible to select limit values of the preferred ranges for some elements while ignoring the preferred ranges of the other elements, as done by the appellant. Therefore, the subject-matter of claim 1 was novel over D1. D5 was completely silent about the S content. Moreover, also for the other alloying elements there was no example falling within the claimed range. Thus, D5 was not novelty-destroying. D9 disclosed a composition wherein the amount of V was not in accordance with present claim 1. Therefore, D9 did not take away the novelty of the subject-matter of claim 1. D8 disclosed a composition overlapping with the claimed one. However, only example G of table 1 disclosed a composition with the optional alloying element V. The V content of said example, which also comprised Cr, was outside the presently claimed range. Thus, the subject-matter of claim 1 was also novel in view of D8. The problem solved by the claimed invention starting from D9 was to provide high-strength rails resistant to rolling contact fatigue and wear. It was not obvious to solve this problem by a composition as claimed, in particular in view of the V content. The common general knowledge that V forms carbonitrides would not lead the person skilled in the art to go against the clear teaching of D9 that the V content should be kept below 0.020%. Considering D8 or D7 would not lead to the claimed invention either. Both of these documents disclosed examples with V below the presently claimed range and taught to add also other alloying elements in concentrations which were not in accordance with claim 1. Thus, the claimed subject-matter involved an inventive step starting from D9. The same was true starting from D5. First of all it was not appropriate to start from example F as closest prior art, which exhibited unfavourable properties,. Moreover, even starting from said example, the person skilled in the art would also have considered the rest of the teaching of D5, which led away from the claimed invention. Finally, as already explained, D7 did not teach towards the claimed composition. 1.1 D8 and D9 (which were not admitted into the opposition proceedings) were re-submitted together with the statement of grounds of appeal, i.e. at the earliest possible stage of the appeal proceedings. These documents, like D1 and D5, disclose high-strength pearlitic steel rails with compositions similar to the claimed one. Hence, they are considered as relevant to the claimed product. Under these circumstances, the Board decided, making use of its own discretion, to admit them into the proceedings. 1.2 D10 and D11 are two standard specifications of very similar technical content, filed with the statement of grounds of appeal. D12 has been filed to prove the publication date of D11. D10 and D11 have been submitted in order to prove the common general knowledge of the person skilled in the art. As such, they were not intended to create a new case but merely to reinforce the arguments already brought forward in opposition proceedings. However, whereas there was no dispute as to the fact that D10 was pre-published, the date of publication of D11 to the public remained unclear, since there are discrepancies between D11 and D12, which has been filed to prove the publication date of D11. While it is true that D12 refers to a standard with the same title as D11, the number of pages indicated in D12 (42 pages) does not correspond to the number of pages of D11 (36 pages). Moreover, the "Publish Date" (2002-08-01) indicated in D12 is at odds with the first page of D11, which carries the date of August 2002, but states that the content of D11 shall not be disclosed to a third party without prior authorisation. The Board thus decided to admit D10, but not to admit D11 and D12 into the proceedings. 2.1 Claim 1 is directed to a pearlitic steel rail which is defined by its composition. 2.2 Novelty of a composition or a numerical domain has to be assessed, like the novelty of any other subject-matter, by comparing the invention as defined in the claim with the disclosure of the prior art. 2.2.1 For an invention to lack novelty, its subject-matter must be clearly and directly derivable from the prior art. A claimed subject-matter would lack novelty only if a "clear and unmistakable teaching" of a combination of the claimed features could be found in a prior art disclosure (Case Law of the Boards of Appeal of the European Patent Office, 8th edition 2016, I.C.4. and I.C.4.2). Thus, in the case of an alloy composition, a disclosure of a combination of the different alloying elements within the claimed ranges is necessary for a finding of lack of novelty. 2.2.2 Alloy compositions often present a situation wherein the state of the art includes documents containing technical teachings described in general terms (the broadest composition ranges); these teachings in turn subsume a number of more specialised technical teachings (e.g. the specific embodiments). In assessing the novelty of subject-matter that can be subsumed under a general term in the state of the art, the question arises whether the general term makes the claimed matter fully or partially accessible to the public. In other words, it has to be established whether the general term used in the citation discloses the subject-matter defined by the special term in the claim. The prior-art disclosure needs to be identified particularly carefully in such cases (Case Law of the Boards of Appeal of the European Patent Office, 8th edition 2016, I.C.6.1). (c) the selected area should not provide an arbitrary specimen from the prior art, i.e. not a mere embodiment of the prior description, but another invention (purposive selection). The first two criteria (a) and (b) compare the invention as defined in the claims with the disclosure of the prior art, as is proper to the examination of novelty. They take into account that a disclosure of a prior art document disclosing a numerical range with some examples of embodiments within it is not limited to the specific examples disclosed in this document. Rather it should be assessed, on the basis of the teaching of the whole document, in which region of the broad composition the person skilled in the art would seriously contemplate working. The criterion (c) by contrast goes beyond the comparison of the invention defined in the claims with the disclosure of the prior art, because it considers the presence of an effect of the claimed invention. Whether the claimed selection is purposive or not is thus, in the view of the present Board, more a question of inventive step than of novelty. As pointed out by the respondent, this view is also taken in the majority of the more recent jurisprudence (see for instance T 1233/05, T 230/07 or T 1948/10). 2.3 As can be seen in the table above, the claimed composition overlaps with the generic composition of the pearlitic rail disclosed by D1 (claims 1 and 6). 2.3.1 Since the different alloying elements interact with each other to form precipitates and solid solutions their content ranges are not to be considered in isolation but in combination. Hence, the range of overlap is narrow in respect of the composition of D1 (see for instance contents of C, Si, Mn, S and V). Moreover, none of the several inventive examples of D1 exhibits a composition in accordance with present claim 1. In particular, no example has a V content as claimed, the disclosed contents being all below the claimed lower limit. The example with the highest V content is example 2-10 of table 3, with 0.04% of V and with C, Mn and S also not in accordance with claim 1. Moreover, the S more preferred content of D1 (page 5, line 15) is lower than the claimed range. Therefore, the examples and the teaching of D1 do not lead the person skilled in the art to seriously contemplate working in the claimed composition. 2.3.2 The appellant attempted to find a teaching in D1 leading towards the claimed composition. Depending on the alloying element, the appellant considered for some elements the middle of the composition range disclosed in D1, whereas for other elements the limit values of the broad or preferred ranges taught in this document were used. In respect of the limit values the appellant further argued that these values were explicitly disclosed and that in order to recognise novelty of a sub-range selected from a broader numerical range of the prior art the selected sub-range had inter alia to be sufficiently far removed from the end-points of the known range. The approach taken by the appellant is an exercise in cherry-picking within the disclosure of D1, which creates a novel combination of features that is not disclosed in D1, for instance by considering the preferred ranges for some elements (such as C) while disregarding them for other elements (such as S for which the preferred range does not overlap with the presently claimed range). The same applies to the limit values known from the prior art which, albeit being explicitly disclosed values, cannot be combined with each other at whim as the case to be made may require. Finally, in respect of the argument according to which a selected sub-range has inter alia to be sufficiently far removed from the end-points of the known range the Board points to that it is not aware of any jurisprudence stating this condition in such a general way. It is true that the Guidelines for Examination in the European Patent Office, G.VI.8, recite under point (ii)(b) this criterion as a condition for acknowledging novelty of a numerical selection. However, neither of decisions T 198/84 and T 279/89 which are cited in this passage of the Guidelines stipulates this condition. In the view of this Board, the limit values of a known range, although explicitly disclosed, are not be treated in the same way as the examples. The person skilled in the art would not, in the absence of further teaching in this direction, necessarily contemplate working in the region of the end-points of the prior art range, which are normally not representative of the gist of the prior art teaching. As already explained above, in the present case D1 does not provide any teaching which would lead the person skilled in the art to seriously contemplate working in the claimed composition. 2.3.3 Even if one were to consider for the sake of argument the presence of "purposeful selection" as a pre-condition for acknowledging novelty this would not change the above finding in view of D1, since the claimed invention provides improved RCF (rolling contact fatigue) and wear resistance (Figures 1 and 2). 2.3.4 Therefore, D1 is not novelty-destroying. 2.4 D5 also relates to a pearlitic rail (abstract). While the contents of C, Si, Mn and V overlap with those of present claim 1, there is no disclosure of a S addition. Therefore, D5 does not explicitly disclose a range of S content overlapping with that of claim 1. Nor is such a range implicitly disclosed for the person skilled in the art. It is true that D10 seems to disclose in table 5 a) (under the assumption that a column is erroneously headed "running surface" but actually refers to the S contents) ranges for S which overlap with the claimed range. However, the standards of D10 are specific for the steel grades referred to in that table. The person skilled in the art would not necessarily assume that such S contents were also to be considered in the case of D5, in which S is an unavoidable impurity. He could for instance consider that S has to be kept at much lower level, as is the case for most of the inventive examples of D1, which relates to a steel rail of similar composition. It is not denied that there are prior art pearlitic steel compositions with S in the claimed range. However, there are likewise such compositions with S outside the claimed range. Hence, there is no direct and unambiguous disclosure in D5 of a S content in accordance with claim 1. At least for this reason, D5 is not novelty-destroying either. 2.5 D9 discloses a pearlitic steel rail. In the composition of D9 the amount of V is not in accordance with present claim 1 but is limited to a maximum of 0.020% (claim 2 and paragraphs  and ). The argument that, considering the experimental incertitude, this value was not to be distinguished from contents in the claimed range (0.05% to 0.14%) is not persuasive. Indeed it is possible to measure the V contents with high precision: in D9 the content of V is measured with a precision of 0.001% (see table 1). Thus, the person skilled in the art would not consider that D9 teaches V contents in the presently claimed range. At least for this reason, D9 does not take away the novelty of the subject-matter of claim 1. 2.6 D8 relates to a pearlitic rail (paragraph ). In its composition V is only one of several optional alloying elements, with a content range broader than the presently claimed one (page 5, lines 13-17). The only example which exhibits a V addition is example G of table 1. However, its V content is lower than the claimed one and, additionally, the Cr content is higher than the amount allowed by present claim 1. Hence, the person skilled in the art would not seriously contemplate working in the claimed range. Thus, the subject-matter of claim 1 is also novel in view of D8. Lack of inventive step is objected starting from either D9 or D5. 3.1.1 The problem solved by the claimed invention starting from D9 is to provide high-strength rails that are resistant to rolling contact fatigue while retaining an excellent wear resistance (patent, paragraph ). 3.1.2 This object is achieved by the claimed composition, which has a higher V content than the composition of D9. 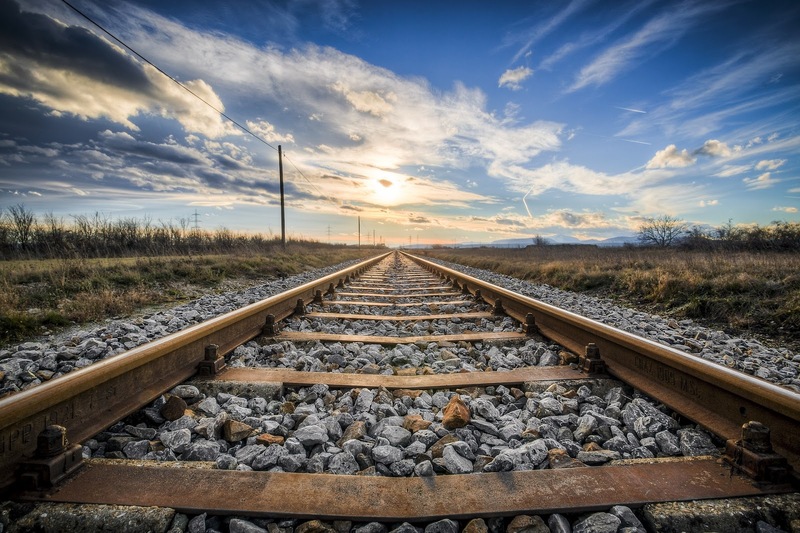 Vanadium acts as a hardenability agent to refine the pearlite spacing and precipitates fine vanadium carbides which increase the strength and thereby the RCF (Rolling Contact Fatigue) resistance of the rail. The fact that in the claimed steel the nitrogen content is limited prevents premature and coarse precipitates of vanadium nitride as they are not effective in increasing the strength of the pearlitic ferrite. This ensures that the vanadium additions remain in solution to lower temperatures and, therefore, result in finer vanadium carbides precipitates (patent, paragraphs  to ). 3.1.3 D9 itself does not teach towards the claimed solution because it discloses that V is limited up to 0.020 wt % and that excess vanadium will form cementite resulting in the steel becoming brittle (paragraphs  and ). The appellant argued that it was common general knowledge that V formed vanadium carbonitrides and thus improved hardness and strength. This is not disputed. Indeed D9 itself describes this effect in paragraph . However, as explained above, the same paragraph also clearly states that the upper limit for the V content of 0.020% should not be exceeded, thus teaching away from the claimed invention. Hence, D9 in the light of the common general knowledge does not lead to the claimed invention. 3.1.4 D8 discloses, on page 5, lines 26-30, that V forms nitrides and carbonitrides, thereby improving ductility, and also effectively improving hardness. When V is present at a content of less than 0.005%, it cannot be expected to exhibit sufficient effect. When V content exceeds 0.500%, occurrence of coarse precipitates that act as starting points of fatigue damage is observed. However, the sole example comprising V (Steel G of table 1) exhibits a rather low (0.02%) V content. Hence, the person skilled in the art starting from D9, which explicitly teaches against V contents above 0.020%, would not be lead to work in the presently claimed range for V (0.05% to 0.14%). Moreover, to solve the given problem the person skilled in the art would consider not only the part of the teaching of D8 relating to V, but also other parts relating to improvements of wear resistance and strength, such as the Cr addition disclosed on page 5, lines 18-21, which only marginally overlaps with the range allowed by present claim 1, with the Cr content of all the examples comprising this addition falling outside said range. Thus the combination of D9 and D8 does not lead to the claimed rail. 3.1.5 Similar considerations can be made in respect of D7. This document discloses in paragraph  that V enhances the hardness (strength) of pearlite structures by the precipitation hardening of V carbides and V nitrides. The amount of V is limited in the range from 0.005 to 0.500%. However, only a limited number of the examples comprise V, in a maximum amount of 0.04% (table 1, example 6). Moreover, also in the case of D7 the teaching relating to improving hardness is not limited to V addition but also comprise additions of Cr, Cu and Ni (paragraphs ,  and ) which would lead the person skilled in the art to work outside the presently claimed composition. 3.1.6 Thus, the combination of D9 and D7 does not lead to the claimed rail either. 3.1.7 Hence, it was not obvious to arrive at the subject-matter of claim 1 starting from D9. 3.2.1 The general teaching of D5 teaches away from the claimed invention, in particular from the presence of nitrogen in the claimed range (which prevents formation of coarse VN precipitates according to paragraph  of the patent in suit), because according to D5 (paragraph ) N is used to form VN in a preferred addition of at least 0.0100%. 3.2.2 The appellant argued that starting from example F of D5, which exhibits a N content of 0.0045%, it would be obvious for the person skilled in the art to provide S in the claimed amounts to obtain a steel with good mechanical properties. However, when starting from example F the person skilled in the art would first of all consider the teaching of D5 itself. From the table on page 12 it is apparent that example F has the least favorable mechanical properties, with better properties being achieved by compositions which exhibit N contents well below the claimed range and additions of further alloying elements (for instance Cr in the case of examples C, D, E which have C contents as presently claimed) outside the scope of present claim 1. Thus, also in this case the person skilled in the art would be taught away from the claimed invention. As explained above, D7 teaches to improve the mechanical properties inter alia by additions of Cr, Cu and Ni outside the presently claimed composition. Thus, also considering the combination of example F of D5 with D7 would not lead to the claimed invention. The same applies in view of D1 (see appellant's letter of 13 April 2015, page 18), which, albeit disclosing S contents up to 0.010%, does not render it obvious to use N contents in the claimed range and would rather lead to work with V contents lower than in the claimed invention. 3.2.3 Hence, it was not obvious to arrive at the subject-matter of claim 1 starting from D5 either. 3.3 Therefore, the subject-matter of claim 1 involves an inventive step. This decision T 0261/15 (pdf) has European Case Law Identifier: ECLI:EP:BA:2018:T026115.20180207. The file wrapper can be found here. Photo obtained via Pixabay by Fotoworkshop4You under CC0 license (no changes made). If only US examiners would accept this.... I have argued this point several times in the US but the examiners there are always so difficult. 'The words are there, so the technical disclosure is there as well' they seem to think.